The company is working with organizations like Reading Rainbow and Intuit to help users improve their work while using Google Docs, Sheets and Slides, Google announced Wednesday. Google Docs has added templates from Reading Rainbow to help students write book reports and help teachers create lesson plans. That plays into Google's continued push to capture the education market, especially after the company launched the templates gallery in September as part of a back-to-school themed event. Intuit's QuickBooks division is aiming to help small businesses by contributing an annual budget template for the Slides spreadsheet software. GV, the venture firm owned by Google parent company Alphabet, contributed a presentation template that's supposed to help entrepreneurs pitch their ideas to decision makers and venture capitalists. Chip and Dan Heath, the brothers behind the book "Made to Stick," contributed a template that's supposed to help people get their big idea across more successfully. All of these partnerships provide an interesting boost to both Google and the organizations contributing templates. 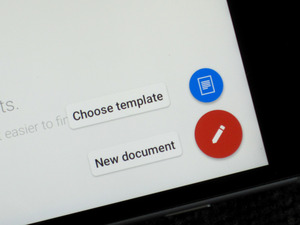 Google gets to improve its productivity software, and the organizations contributing templates get additional exposure to people who use Docs, Sheets and Slides. The templates don't carry any branding on them, so users won't have to worry about their presentations looking like they came from GV, or their written reports emblazoned with a Reading Rainbow logo. However, users will be able to see who created the template while they're browsing the template gallery. Looking forward, Google Drive users can expect more of these templates from other providers.